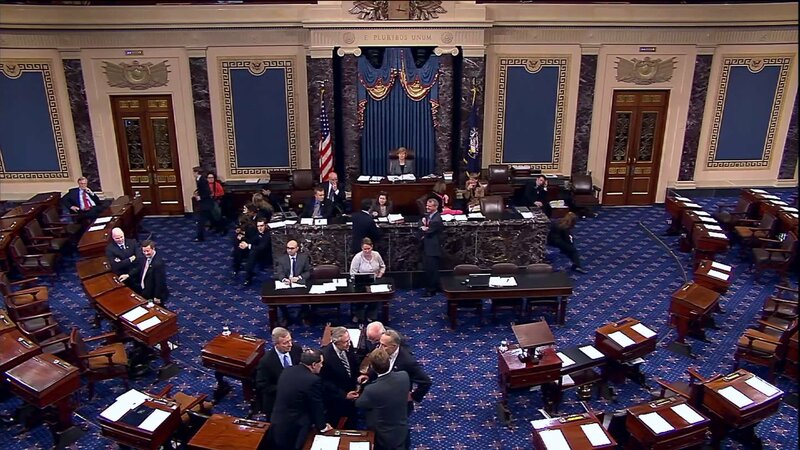 Republican leadership seemed determined to fumble the ball on the reconciliation process, but in the end a pretty good ObamaCare repeal package has finally crossed the goal line in the Senate. The House will certainly pass it, and it will proceed to President Obama's desk, where he has promised to veto the legislation in spite of the overwhelming evidence that the law is fundamentally unsound. Unlike the original house-passed reconciliation measure, which only repealed some of the most unpopular elements of the Affordable Care Act and left the bulk of the law alone, the amended version passed by the Senate last night would eliminate the bulk of ObamaCare. It gets rid of all of the law's new taxes, along with the federal exchanges, insurance subsidies, and Medicaid expansion (with a two-year delay), and also sweeps away the grant programs, insurance company bailout programs, and the individual and employer mandates to purchase insurance. The bill does not eliminate many of ObamaCare's regulations, such as the minimum coverage requirements and the redistribution of insurance costs from older to younger patients, but those portions may have to be dealt with outside of reconciliation in any case, as they don't deal directly with federal spending or revenues. It's a huge win to finally demonstrate that Congress possesses both the ability and the will to eliminate most of ObamaCare and start fresh. The final vote was 52-47, with Republican Senators Collins and Kirk joining the Democrats in opposition. Senator Sherrod Brown (D-OH) had an amendment that would have kept the 100 percent federal funding for people covered under ObamaCare's expansion of Medicaid. As written, the law was scheduled to slowly draw down the federal support for these newly covered Medicaid enrollees - the 100 percent funding was just designed to entice state into participating in the expansion. The increased spending would have been funded by increased taxes on high-income earners. The amendment failed, 45-55. Senator Dean Heller (R-NV) had an amendment to permanently eliminate the tax on insurance plans that the government has arbitrarily decided are "too generous" (commonly called the "Cadillac Tax"). This amendment passed by an incredible 90-10 margin. Three Republicans (Coats, Corker, and Sasse) joined seven Democrats (Boxer, Carper, Durbin, Kaine, Manchin, McCaskill, and Warner) in opposing this tax. Full credit must go to Senators Cruz, Lee, and Rubio for putting their feet down and demanding that the Senate repeal as much of ObamaCare as possible - and especially to Senator Mike Lee for extracting the promise from Majority Leader McConnell to vote on a full repeal. This vote will be a crucial marker to highlight the importance of electing a bold advocate for limited government into the White House to finish this job in 2017.